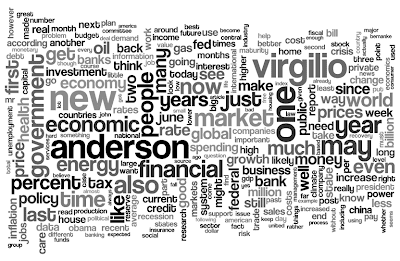 You can also see the Java version in the Wordle gallery. The millionth Wordle is coming up in about a week, so look out for that. Special this week: Guest appearance from Virgilio Anderson.